This entry was posted on July 20, 2017 by ScienceofSpeed. 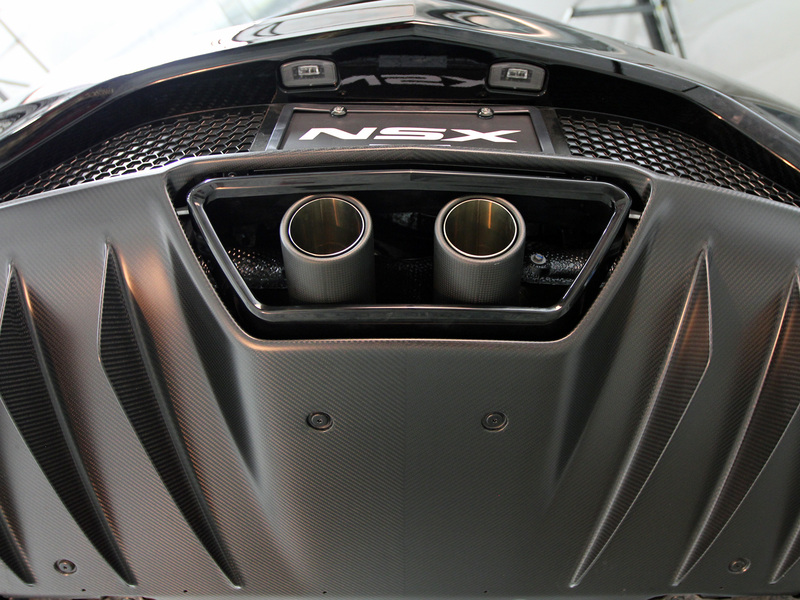 Looking to add downpipes to your NSX? We can not emphasize enough the importance of the factory heat shields that attach to the downpipes and exhaust. Because of the pocket in the chassis where the downpipes are positioned, there is very limited airflow in this area. In presentations given, the factory development team explained the challenges of heat management in this area. The ScienceofSpeed Sport Downpipe Set is the only design on the market that retains all four of the factory heat shields. This critical feature was one of the most difficult elements in the design of the downpipes while optimizing flow and acoustic properties. 3D scanning was utilized and multiple revisions were required to achieve precision fitment of flanges and heat shields. The ScienceofSpeed Race (Valve Delete) and the upcoming Sport (Valved) exhaust designs also retain the factory heat shields. Please find a video clip below showcasing the ScienceofSpeed Sport Downpipes and Race Exhaust. Please click for more product info.